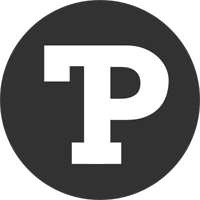 As web developers, the deal is that we try to support our users on all the different platforms they might use to view our site. Generally speaking, that spans everything from the latest mobile devices to Internet Explorers that’ve long outstayed their welcome. But what about when your site isn’t meant for the general public, but rather other web developers. How closely does that still hold? That’s the question I had when building FontCDN. W3Schools provides stats on browser and OS share, but given their focus is web tutorials, their audience skews toward the beginner. Fortunately, two of my previous projects, Bootswatch and GlyphSearch, are closer to the crowd I was aiming for with FontCDN. Comparing logs, I found the breakdown surprisingly consistent between the two sites. In fact, they were within a few percentage points of each other across the board with one exception. So for this section, I’ll present data for Bootswatch since it’s been around longer. 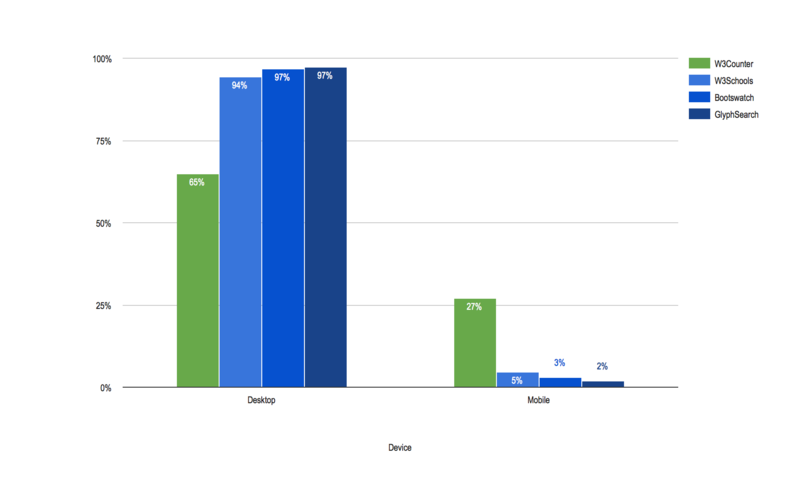 As you can see below, when it comes to device share, desktop has consistently eclipsed mobile and tablets. You probably don’t want to neglect mobile visitors entirely, since they might be checking out your site before deciding to share it or come back to it on desktop, but gracefully degrading the experience may be enough. 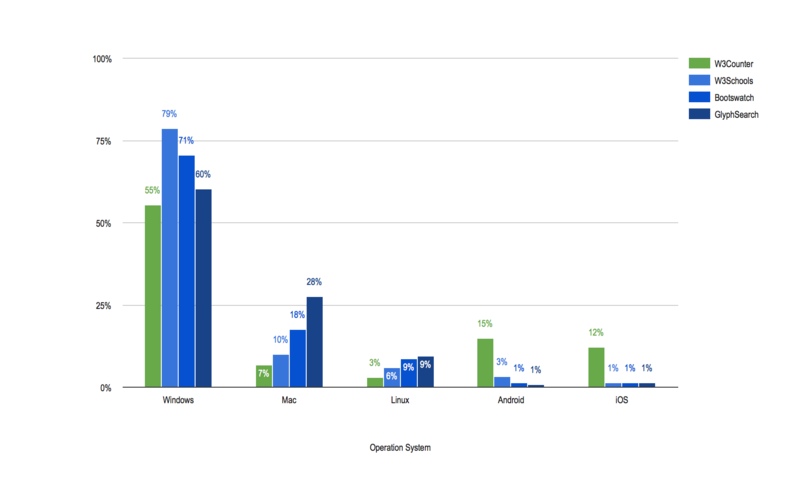 Here’s the breakdown by operating system. 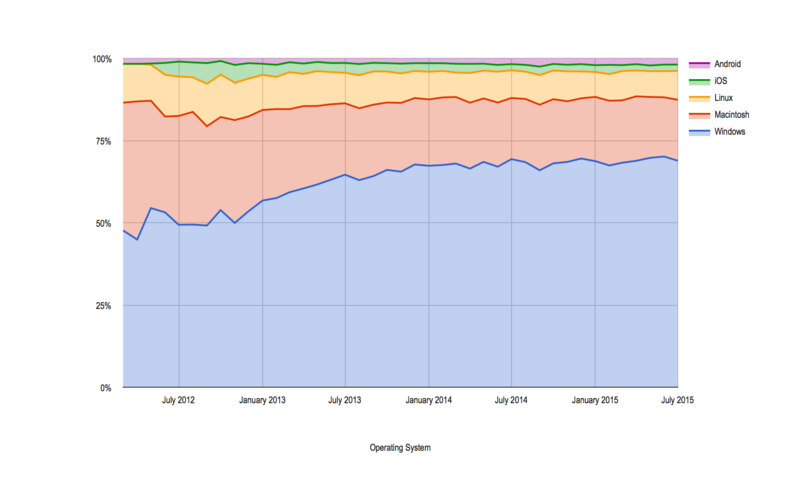 Maybe it’s because I’m in a bubble of universities and startups, but I was surprised by how low the Mac share was. Perhaps this is due to the more design-oriented Mac developers not needing designed Bootswatch themes (Mac share was 10% higher on GlyphSearch). 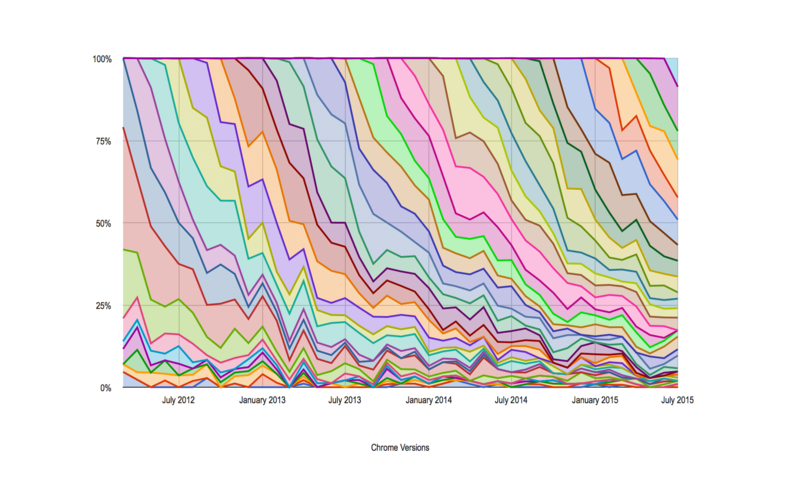 On the flip side, Linux share was greater than I expected. 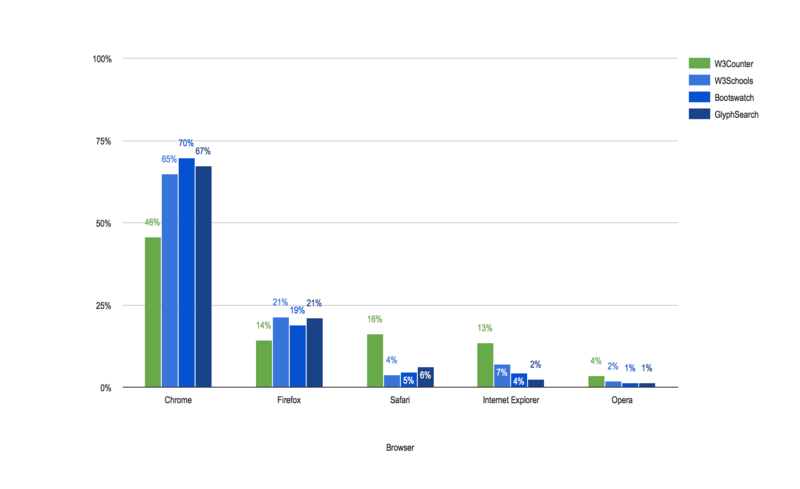 Chrome and Firefox are the most used browsers. Not a surprise given the quality of their dev tools. 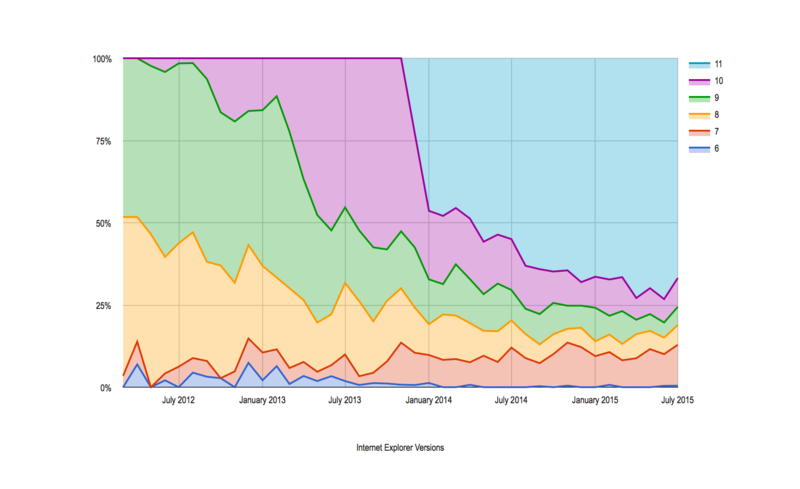 A pleasant surprise was that among IE users, two-thirds are on the latest version. 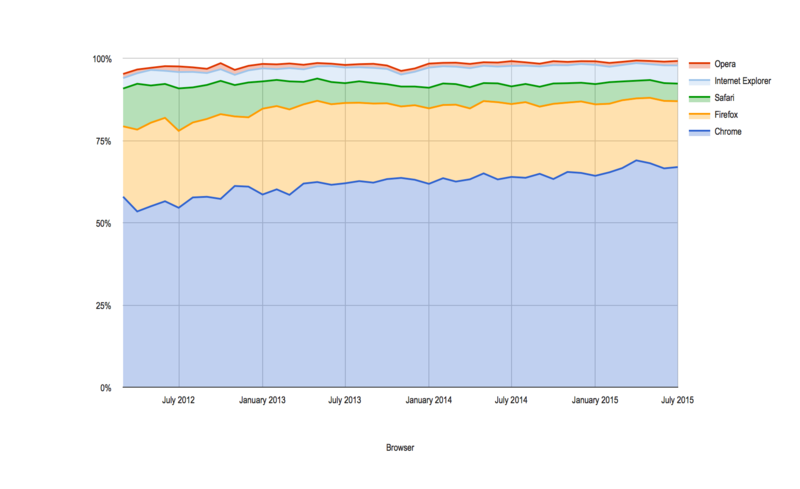 Just for fun, here’s what the update cycle looks like for Chrome in that same time. So how do the Bootswatch and GlyphSeach numbers stack up to the general public? Here’s a comparison of device share based on data from W3Counter. Think of green as global and blues as different subsets of web developers. Here’s the takeaway: If you’re developing web tools for web developers, you’ll do alright by targeting modern browsers on the desktop. Sorry for commenting on such an old post, but in http://thomaspark.co/wp/wp-content/uploads/2015/08/compare-devices.png, I think GlyphSearch desktop should read 98% instead of 97%? It look like it, but the numbers are actually 97.3% for GlyphSearch desktop and 96.9% for Bootswatch.